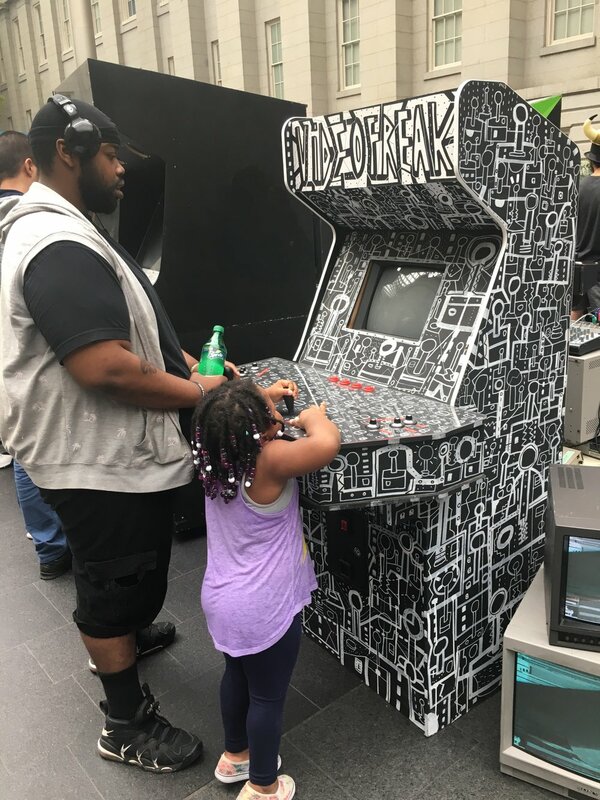 VIDEOFREAK is a video art arcade game. 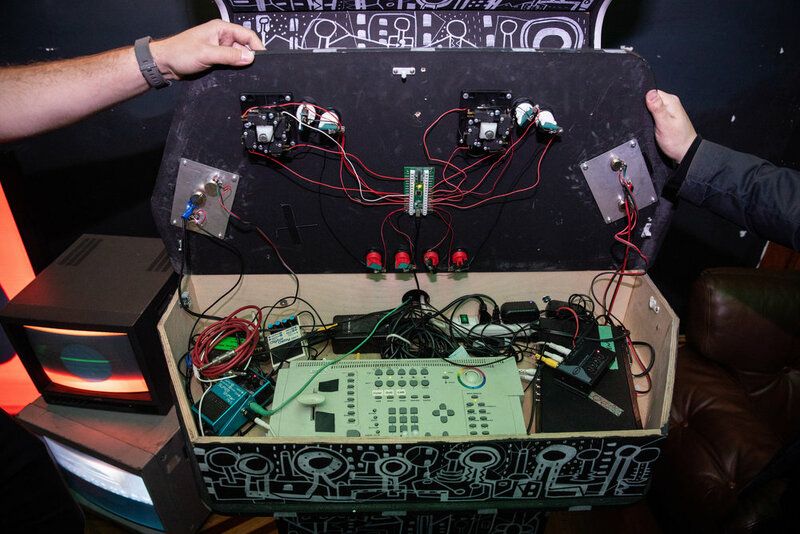 Playing the game involves manipulating live analog video feedback and audio effects that are built into the console. 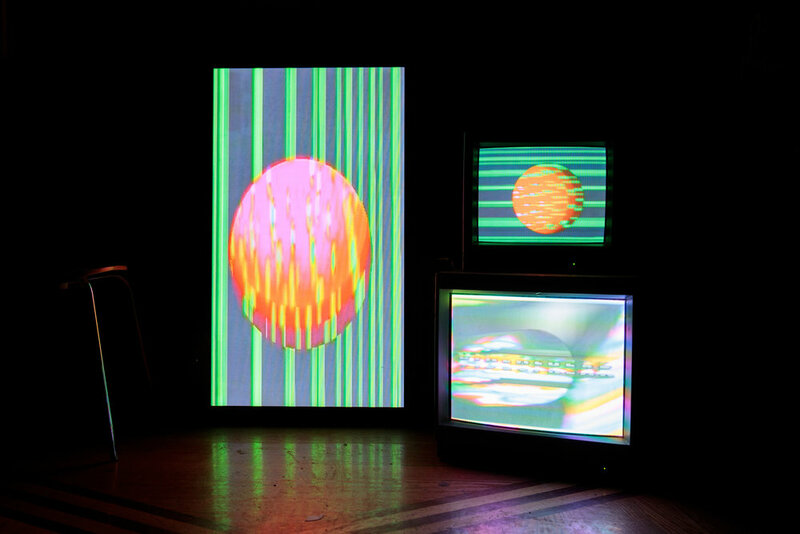 The game features videosynth visuals and analog electronic music generated using a Hearn Videolab, Jones Colorizer, and Doepfer modular system at Signal Culture in Owego, NY in January 2016. Some of the music was produced using an electric organ at the Kimmel Harding Nelson Center for the Arts in Nebraska City, NE in November 2015. Game design and video electronics by Allen Riley; cabinet design and construction by Mark Kleback; cabinet artwork by Tim Fite. Video Freak was commissioned for LWLVL Festival 2016 and built by Mark Kleeb and Allen Riley. The cabinet was CNC cut by Southside Design and Building. Video Freak was designed to be part game and part video art. Three potentiometers on the console control a video feedback mixer that produces different effects on the black and white CRT screen. There are also three potentiometers that control audio effects through Phaser, Flanger, and Delay pedals. Additionally, there are effects built into the game that can be momentarily triggered using four buttons on the top of the console. Video Freak can be played at Secret Project Robot in Bushwick.